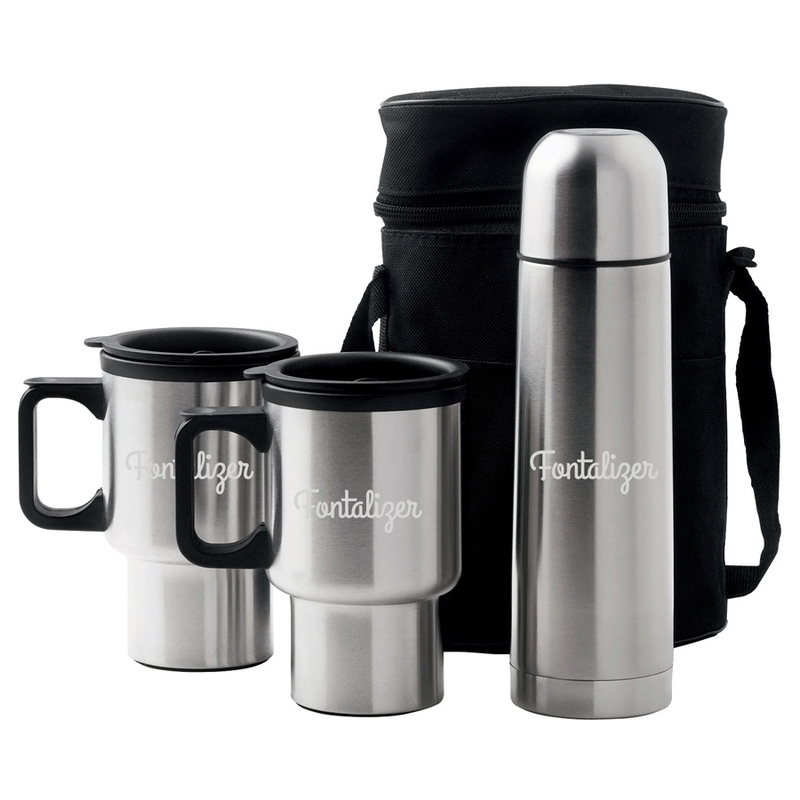 Great gift idea.Packed inside this heavy duty, 600D carrycase is the D786 500ml stainless steel travelmate vacuum flask, 2 x stainless steel 380ml car mugs with lids. Supplied in white box. Colours: Stainless, Dimension: Case: 250mm H x 160mm W. Price includes : 3 Day Service* Pad Print - One Colour/Location . Setup is included.